Happy Birthday No Excuses CrossFit! Happy Birthday No Excuses CrossFit! You’re 10 years old today. It was on this day in 2008 that Kyle Maynard and Ben Davis opened the doors to the gym for the first time. A lot has changed since then. We’re no longer in the same location (the old gym was about 200 meters down Lawrenceville-Suwanee Road and is now a tutoring school). Classes were small. If you had more than 8 people in a class it was considered big. 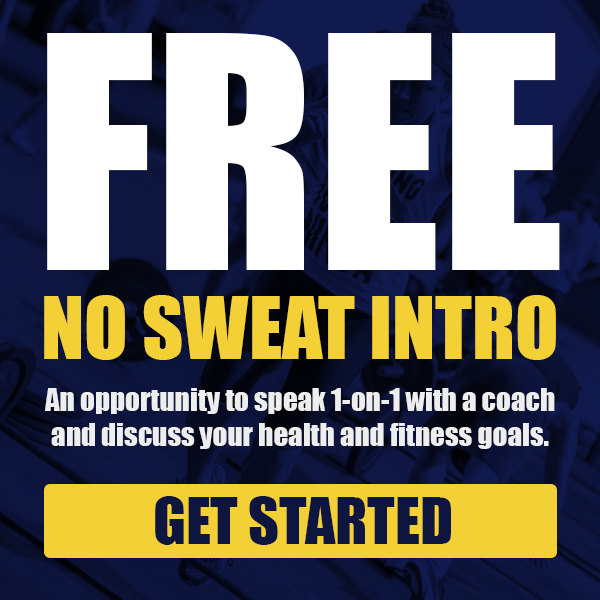 If you attended the 6 am class, you had to sign up online the night before or a coach would not be there. The programming moved around a lot. There were no Essentials, Fitness, or Performance levels. The closest thing we had to that was our Basics program. We didn’t do ring pulls, we did assisted pull-ups with a rubber band. There was no childcare. There were no CrossFit Kids or Teens classes. Our pull-up rig was built by a local welding company and you could hold about eight people on it at one time if everyone faced a certain direction. There was no Rogue or Progenex. No one wore Reebok Nanos or Nike Metcons. The shoe of choice was Chuck Taylor All-Stars. Our Nutrition Challenges were known as 30-day Paleo Challenges and you would put $20 in a box and whoever lost the most weight at the end won. It’s evolved into much more nowadays with our 1-on-1 nutrition coaching. The CrossFit Games were still in their first years at the Ranch in Aromas, California. There was no CrossFit Open, no CrossFit Games on CBS Sports. To find a local competition was pretty rare. Now you can find several in your area just about every weekend of the year, including Birthday Bash 10 this Saturday. Gym outings would happen on the spur of the moment. Now they are planned out months in advance like Friday Night Throwdown, the men’s camping trip, Hugo Open, Lake Party and Birthday Bash. Brandon and Chris weren’t even members at the gym in 2008. Brandon was still working at the Gwinnett Daily Post and Chris was a personal trainer at Lifetime Fitness doing crazy workouts. So I guess not too much has changed. The gym has grown a lot in 10 years. Not only is the location four times bigger than the old spot, but the membership has grown as well. We have nearly three dozen people that have been with No Excuses CrossFit for nearly half of its existence. Greg Hayes is our longest current member with nearly 10 years under his belt, while Leslie Brigman has been here for nine years. Chris and Tara Fischer, Scot Poore, Robert Thornton, Mike Matthes, Matt Ziesmer, Bob Sawyer and Carl Cook have been members for seven years. Jeremy Edmondson, Angie Drexler, Kim Guthrie, Lisa Orlandella, Lori Parker, Greg Carefoot, CJ Minniefield, and Glen and Nicole Wilkins have been around for six years. Bill Bozeman, Michelle Stovall, Stacey Odom, Ward Woody, Jami Poore, Dhillon Santokh, Min Oh, Jeff Gaskins, Joe Carter, Bryan Bembridge, Barbara Parsons, Cris Burgum, and Jon and Laura Owings have been with us for five years. 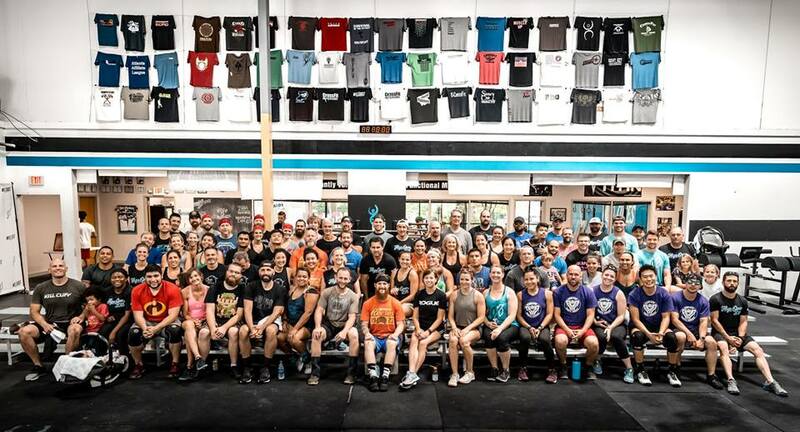 During the last 10 years, we’ve held more than 17,000 classes and have had more than 2,500 people WOD at the gym. Over the years we have had some of our athletes hit the big stage like when Chris Fischer qualified for Regionals in 2011 and Laura Mattison in 2013. Amy Hood made it to the WheelWOD Games, the adaptive version of the CrossFit Games, in 2018. No Excuses CrossFit has become the exclusive training facility for Annandale Village the past three years. Villagers come to No Excuses to receive high-quality fitness under the supervision of a coach. No Excuses has made an impact on the local community over the years. 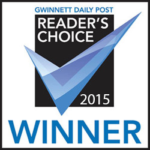 It first began with WOD For A Cause in 2012 and has now moved towards helping the North Gwinnett Co-Op. 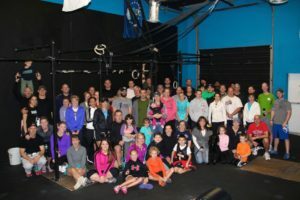 For the last three years, No Excuses CrossFit has held its Birthday Bash competition as a fundraiser for the North Gwinnett Co-Op. Through the competition, No Excuses has been able to provide Christmas gifts for 40 children and seniors in the Suwanee, Buford, Sugar Hill community. In addition, No Excuses has collected more than 5,000 pounds of food for the North Gwinnett Co-Op during its Friday Night Throwdown. No Excuses CrossFit was the first affiliate in Gwinnett County and you can see its roots firmly planted in Northeast Metro Atlanta. 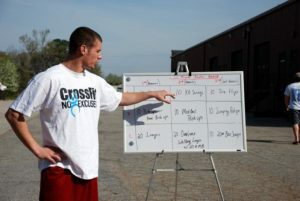 At least eight former coaches or members at No Excuses CrossFit have opened their own gyms in the area. The gym has also grown to be more diverse with members from more than a dozen countries from all over the world like Canada, Mexico, Jamaica, Lebanon, Liberia, Brazil, Colombia, Argentina, El Salvador, Slovakia, Italy, New Zealand, Germany, India, Vietnam and South Korea. As we reflect on the past 10 years and remember all of the good times, the tough times, and the fun times, we want to thank all of our members — past and present. Without you, this place would not exist. Thank you!